Justine art sells around the world, but does anyone truly know her? When her mother dies, she returns to her childhood home in Yorkshire where she decided to confront her past. She ask journalist Rose Haldane to find the baby she gave away when she was an art student, but only when Rose starts to ask difficult questions does Justine truly understand what she must face. Is Justine strong enough to admit the secrets and lies of her past? To speak aloud the deeds she has hidden for 27 years, the real inspiration for her work that sells for millions of pounds. Could the truth trash her artistic reputation? Does Justine care more about her daughter, or her art? This is a tale of art, adoption,romance and loss, moves between now and the eighties, from London’s art world to the bleak isolated cliffs of East Yorkshire and the hot orange blossom streets of Malaga , Spain. ‘Connectedness’ what a read!! Totally captivated within a few chapters of starting to read this book. A gripping tale of love, loss, and human struggle. The book begins with a young student in the first steps of life, going to Malaga, Spain for Art college. We read of the highs and lows of being a student and being far away from home. Then how something happens charges an impact on the rest of her life. Brilliantly written with very good descriptive language that shows such emotion on a very sensitive/delicate subject. So good that I was able to feel passion and sentiment. The story flowed well and the plot unfolded gently through the book. It has a exceptionally good storyline that totally absorbed me and made it hard for me to put the book down. The characters came across realistic and I felt I knew Justine as she journeyed through her life, loving her respect for her family, the kindness and love she showed for her friend Darya. Lastly the deep love she held for her daughter. I can’t praise this book enough just loved it, and I one hundred percent recommend this lovely book and it is now one of my all time favourites! 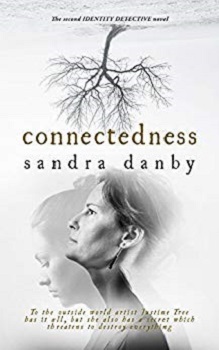 Well done Sandra Danby and I shall look forward to reading more from this author. Awesome review, stories like these pull at my heartstrings. The synopsis and your wonderful review make me want to buy this book. You’ve sold me. 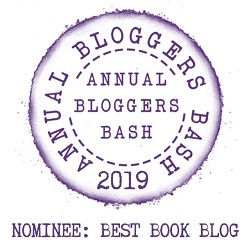 How can I not add to my TBR after reading this review?! Plus, what a cover! Agree the cover is gorgeous. Hope you enjoy it. Great, sounds like a terrific read! This sounds really good. Great review. I get the idea that Justine is quite a complex character with an interesting past. Adding to my TBR. WOW! This sounds really good. Excellent review – I would have passed right by this book had I not read your post. Thank you. I hope you get to read it now. Great review, this is the first time I have heard about this book and author and it looks and sounds absolutely amazing, I am really glad you enjoy it fully. Thank you so much for sharing your awesome post and for putting this book on my radar. Thank you. Not a book I’d heard of before the author asked us to review it. This sounds really good. I’ll definitely add it to my list. Thank you. The book is simply gorgeous. This sounds like one of those heart warming books that give you ALL of the feels. I am glad you enjoyed it. It really is one of those books. Great review! That cover looks interesting! Thanks Sandra for giving us more information. Glad you like the review.